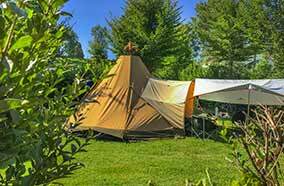 We welcome you to our three-star campsite in Dordogne. Here in the Périgord, we offer you an unforgettable holiday with a family-oriented atmosphere. Located near the centre of the village, this campsite offers both a natural setting and modern convenience. 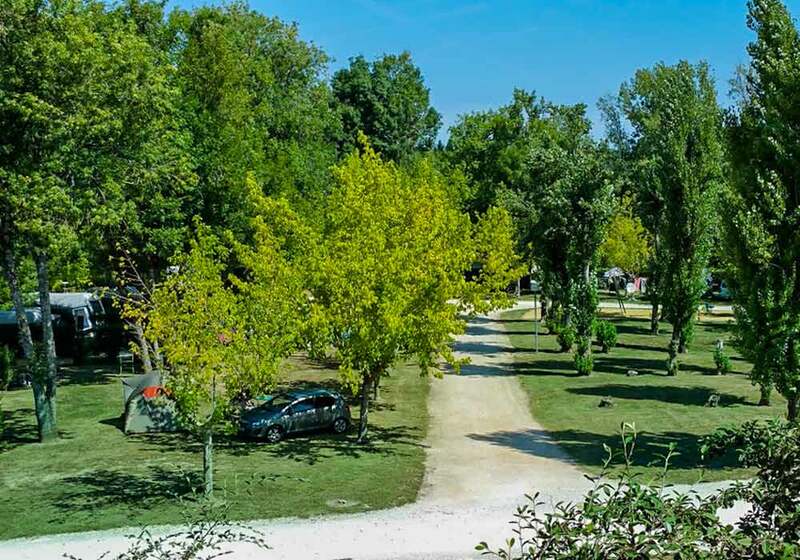 The campsite is the perfect place to stay for a convivial holiday, to enjoy the fresh air and to stay in an economical way in the best comfort while benefiting from many services and leisure activities. 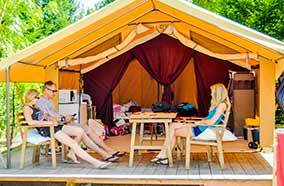 As a family, camping holidays are the ideal option to satisfy everyone. In tent, the joys of camping and everyday life in the wild are timeless. In a mobile home, you will enjoy a serene stay with the best comfort equipment, in a natural environment preserved with access to many leisure activities and friendly activities. 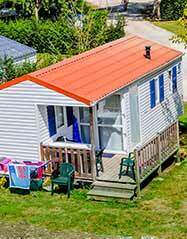 Our offer is varied and adapted to all family profiles: you will find large 4-bedroom mobile homes for large families and groups of friends, canvas lodges perfect for camping with young children or babies, and idyllic landscaped and shaded sites for nature loving families, motorhomes and traditional RV enthusiasts. 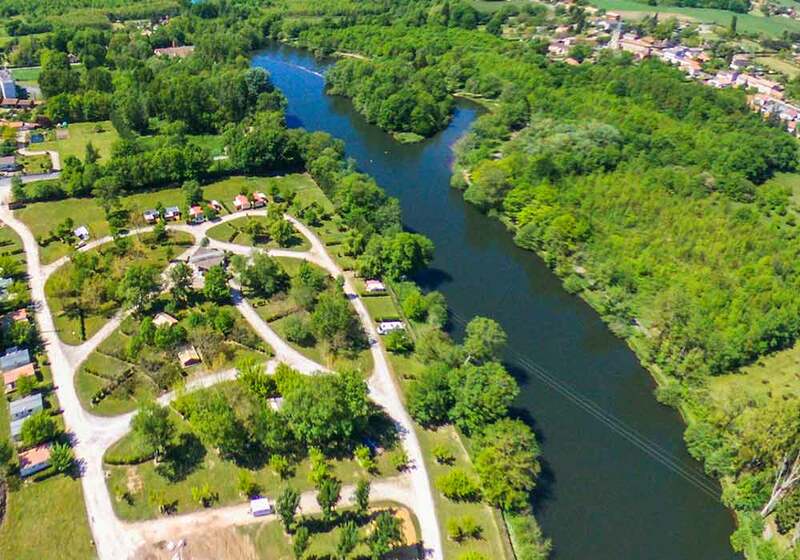 With direct access to the banks of the Isle River, the verdant setting of our campsite in the White Périgord offers you a true opportunity to recharge your batteries. Our tree-lined pitches are spacious, shady and tranquil, ensuring you a relaxing holiday. If you would like to discover all the hidden treasures of the Périgord, it would be our pleasure to provide you with information. Since we have been living in Dordogne for a number of years, we are able to make cultural and gourmet recommendations. If you prefer to explore on foot, or if you are travelling in a camper, you will be delighted to leave your vehicle behind and walk or bike to the nearby conveniences. Our proximity to Montpon offers you effortless access to the centre of the village. Every Wednesday, just ten minutes’ walk brings you to the centre of the open-air market. The gathering of local farmers there will reveal the gourmet treasures of our area to you. Continue your day at our heated swimming pool. 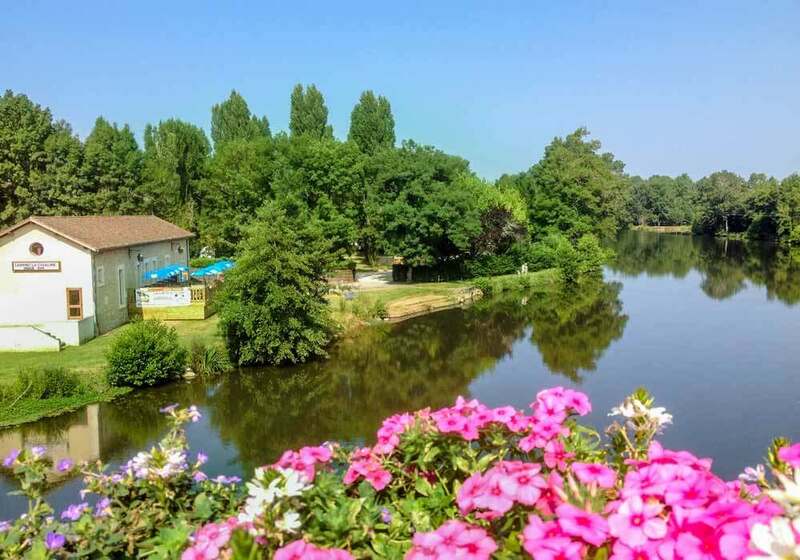 If you are hesitating between a rental and a pitch, no need to worry: any choice at the La Cigaline campsite is a good one. Our family (Corinne, Sébastien, Eléane and Julie) welcome you to our pretty little campsite in Dordogne. 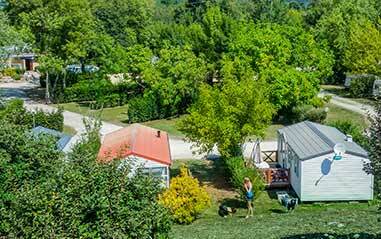 La Cigaline spans over three hectares and offers you spacious pitches that still maintain convivial neighbourliness.